One of the trickiest areas to navigate in any office or team environment is interacting with different personality types. In any given situation, you could be mingling with introverts and extroverts, creative and statistical types, leaders and followers — and that’s in a group of a half dozen people! If you’re leading a larger team, you’ll likely deal with all of these personality types, as well as never-ending variations and combinations. And it’s not just in your professional world you’ll encounter people with different interests and temperaments — you will in your personal life as well — your significant other, friends, relatives, neighbors, and so on. You don’t have to change your own personality to interact with someone who is inherently different from you. However, you will enjoy a less stressed, more productive work or personal environment — and accomplish a lot more — by understanding why others think and act the way they do. Why Is It Important to Know How to Interact with Different Personality Types? Minor differences of opinion or misunderstandings on either side can simmer on a back burner and eventually boil over into a major conflict. In the workplace, this can lead to loss of productivity, lower morale and even staff turnover, which results in profit losses. In personal relationships, it can lead to stress, anxiety and even to divorce or the destruction of a friendship. Extroverted: Energetic, lively and thrive when working closely with others. Introverted: Thoughtful, reserved and thrive when working independently. Decisive: Determined, ambitious and thrive when accomplishing goals quickly. Perceptive: Adaptable, spontaneous and thrive in unpredictable situations. Analytical: Detail-oriented, deep thinkers and thrive when digging deep into details. Sensitive: Empathetic, passionate and thrive when engaged in projects which benefit others. Putting an introvert in charge of a team or assigning an analyst to create big picture goals, for example, could lead to poor results. This is why it’s important to understand why people act they way they do and in which environments they will thrive vs. struggle. Do you prefer verbal communication (face-to-face, phone calls) or do you like to see things in writing (emails, instant messages, texts)? Do you like to make decisions independently or collaboratively? Describe your ideal project or task. Do you prefer quiet, secluded work spaces or enjoy a lively environment? Knowing some basic preferences can provide you with a good blueprint for how to communicate and have smooth, productive interactions with others. 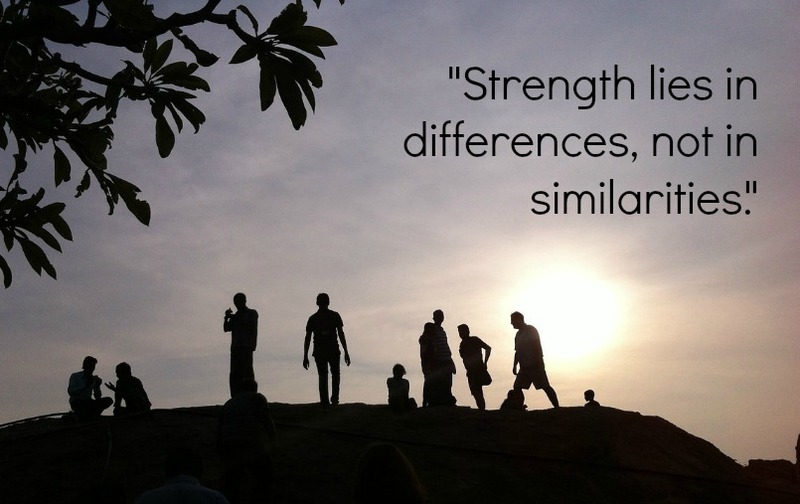 “It is not our differences that divide us. It is our inability to recognize, accept, and celebrate those differences.” – Audre Lorde, poet. When you encounter someone who’s completely different from you, these differences can be hard to understand, intimidating or even annoying. Instead of thinking of the difference as an impediment, try to look at it from a new perspective — identify what’s good about that difference. Maybe you’re the creative type and like to fly-by-the-seat-of-your pants, but your team member needs to have an established plan to move forward. Instead of thinking she will stifle your creativity and bog down your project, her need for a plan can help direct your creativity and together you can accomplish more. By finding traits you admire, your team members become allies instead of impediments. The most important thing to remember is that relationships are currency and should not be abandoned at the first sign of conflict. 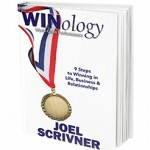 We talk about this in my book, WINology – World Class Performance. Every team member, colleague, employee or personal relation has the potential to create a beneficial connection in your life — after all, you’re all interested in the same basic outcome — and these connections should never be neglected. So take the time to get to know a little more about how others think and what makes them thrive — I promise you, it will be worth the time and effort! The end reward will a richer, happier life and a smoother path to achieving your professional and personal goals. What personality type do you identify with best? What would you tell others to help them understand you better? Let us know in the comments section below! Understanding why others think and act the way they do based on their personality types will benefit you in more ways than you can imagine. Did You Give or Receive the Most Valuable Gift? I believe I fall into what I’ve heard termed an extroverted introvert – I share qualities of both. Depending on who you ask and when you ask, I’ve been described as both as well. At times, I work a room and am the life of the party; however, other times, I dodge the party altogether or attempt to go unnoticed the entire time. The problem with this is that I often give off mixed signals. I’m definitely on the sensitive side. This is something I’m trying to work on because I can take it to an extreme. Great read! It can be difficult navigating human beings, but understanding different types of personalities is a great start.